Hello all! I’m back from a 12 day Mediterranean cruise – Rome to Venice, with a bunch of Greek isles in between. I finally got to tick quite a few places off my travel wish list; I’m eager to share a recap with you in the next few weeks! 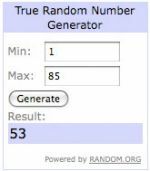 Reader 53, Sarah M! Congratulations! 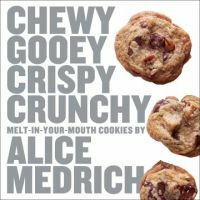 Alice Medrich’s cookbooks have been longstanding favorites of mine – she has such a unique knack for reimagining desserts in unexpected ways, and her cookie book is a classic example. 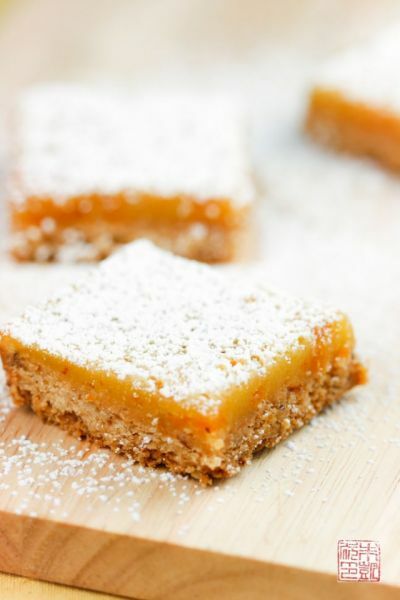 The Apricot Lemon Bars I made from her book are a nice twist on the basic lemon bar: the apricots give them a rounded sweetness and even more seasonality, and the hazelnut crust adds another layer of flavor. They’re not as mouth-puckery as regular lemon bars; Alice mentions in her Very Tangy Lemon Bars 2.0 that her original lemon bar recipe has been labelled “too sour” by some, but this variation dials down the tartness without veering into sickly-sweet territory (which I think is a much greater sin for lemon bars). 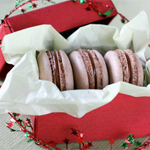 Why did you decide to write your next book on cookies? Alice actually has a first cookie book, Alice Medrich’s Cookies and Brownies , that’s been out of print for a while. When her publisher looked at reprinting it, she decided to take the opportunity to update the recipes for a modern sensibility, with more adventuresome spices and new flavors. Alice also wanted to redesign the book and categorize the recipes by texture – hence the name of the book – to allow bakers to choose a cookie according to their mood. Finally, she wanted to address nutrition and diet issues by adding new recipes and creating the “Smart Search” feature in the back to allow readers to find cookies that fit their dietary needs quickly. How long does it take you to test and finalize a recipe? I have to admit this was a bit of a trick question since Alice is known for her meticulous testing in the kitchen. Of course, Alice answered that it varies greatly – she’s nailed a recipe after a couple of tries while for other one she can keep testing until she’s told to stop! 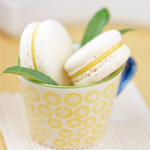 Much of her inspiration for the recipes in her new book came from the availability of new ingredients; for example, she felt unsweetened coconut gave a much purer coconut flavor to her macaroons, while freeze dried fruit and nut butters gave new life to meringues. The eclectic selection of cookies in her book is a reflection of the new avenues she wanted to explore – variations on biscotti, sprinkling spices on cookies after they were baked, gluten free versions of classic cookies. Do you have any standby cookie recipes you can use in a pinch? I really loved Alice’s answer! 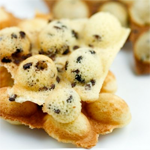 Her response was that almost any chocolate chip cookie recipe – just take the one off of a bag of chocolate chips – can be improved by using melted butter instead of creamed butter. This will give a more caramelized flavor and a less cakey texture to the cookie. 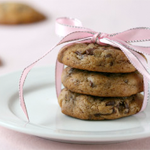 It will bake up with crispy edges and a soft center – the current popular standard to chocolate chip cookies. 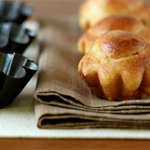 She suggests baking them on a bare sheet pan for best results. 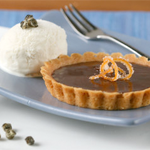 What are some dessert trends that you see? 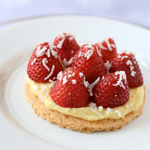 Alice answered with some trends she would like to see: more simplicity and fewer unrelated elements in desserts. 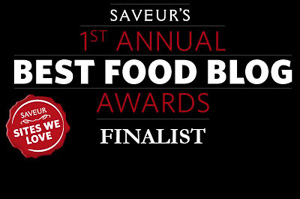 A focus on a single ingredient instead of too many competing tastes and textures. 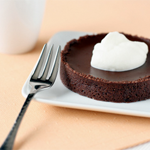 Gluten free and other special-diet desserts that taste delicious. (Alice was particularly proud of all the special-diet cookies in her cookbook as she had spent considerable time developing them). It’s always a pleasure to speak with Alice and hear about her measured, yet joyful approach to baking. I’m looking forward to her next inspired cookbook! Preheat oven to 350 degrees F. Line an 8-inch square baking pan with a sheet of foil so it covers the bottom and all four sides. Combine flour, sugar, salt, and nuts in a food processor. Pulse until nuts are finely ground. Add melted butter and vanilla and combine until mixture is damp and begins to clump around the blade. Remove dough and knead it to finish combining ingredients. Press dough evenly over bottom of prepared pan. 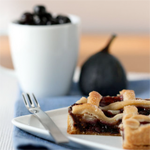 Bake for 25 to 30 minutes, until crust is fully baked and browned around the edges. While crust is baking, stir together sugar and flour in a large bowl. Add in the eggs and stir to combine. Add in the apricot preserves and stir to combine, breaking up any large pieces. Mix in the lemon juice. When the crust is baked, turn oven down to 300 degrees F. Take out the pan and pour in the topping over the crust. Bake for another 20 to 25 minutes until topping is set and does not jiggle when pan is tapped. Let cool completely on rack. Using the foil as handles, transfer bars to a cutting board and cut into sixteen 2-inch bars. Sift powdered sugar over them just before serving. « Going on Vacation + No Pictures Won’t Stop A Giveaway! This is totally weird but … I think my parents might have been on the same cruise as you! Crazy! 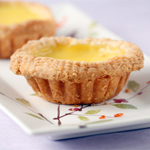 Such an interesting looking twist on the lemon bar. I very much agree that “too sweet” is a much greater sin than “too sour”. Holy yumballs! Just the title alone sounds drool-worthy. I love lemon bars and therefore will make this over the top version as soon as possible. Thank you for sharing! I adore these types of dessert bars. 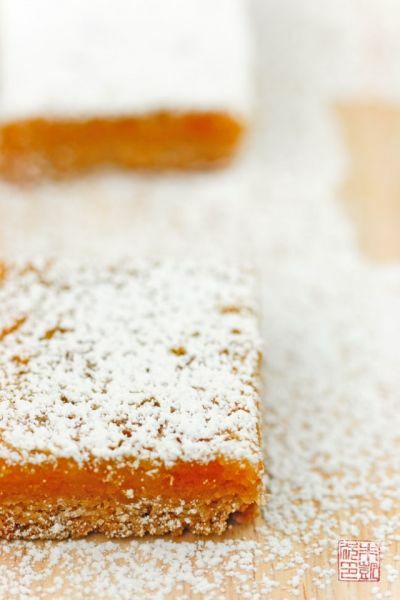 I often bake lemon bars and have even submitted them a few times to recipe contests – they are THAT good. I love this apricot lemon hazelnut idea, however. Maybe a mixture of the two will be an idea of what to take to a July 4 gathering. Yum! I love the hazelnut crust. Divine! First – I’m completely jealous of your cruise! We did an Italy – Greece itinerary last year and I’m desperate to go back. I love this cookbook! I haven’t tried this recipe yet, but made an apricot rosemary bar out of Baked Explorations that will post this weekend. I’ll have to give these a try and compare them! Thanks for the interview!! 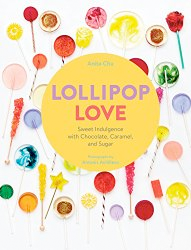 I’ve been keeping my eye on this cookbook for awhile, and after reading this post I’ve decided: it’s the next book I’m going to buy! This looks fantastic! And thanks for sharing part of your interview with Alice. I really like her idea of having more simplicity in recipes. It can be hard sometimes to reign yourself in and not try to put all sorts of things into a recipe, but, more often than not, the simpler recipes are the ones that become family classics. Can’t wait to hear more about your recent trip. And thank you for the Q&A. I love Alice Medrich’s work–love it. She’s my inspiration. Lemon sound refreshing and light especially in the summer. If only I could take advantage of Alice’s choc chip secrets. I am hopeless around raw dough – too much ‘trimming’ the bowl as a child and not enough actual cooking set me on a wanton path… Still fun to consider the possibilities. The hazelnut crust is enough to have me wanting a taste, but apricot and lemon together?! Love!! I love hazelnuts and lemons and I really like apricots so what’s not to love! Glad you enjoyed your holiday. This looks totally fabulous, i am a lemon fiend but have never paired it with apricots or hazelnuts for that matter so definitely would like to give these lovelies a go! Hi, I’d love to recreate your recipes – please give measurements in metric as well, thanks! 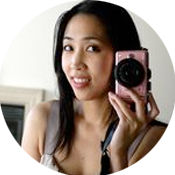 Thanks for visiting my site! Many of my more recent entries have both imperial and metric measurements, but unfortunately I have not had the time to convert all my old recipes. That is why I have a page of conversions so you can easily do the conversions yourself if you like. Thanks and happy baking!